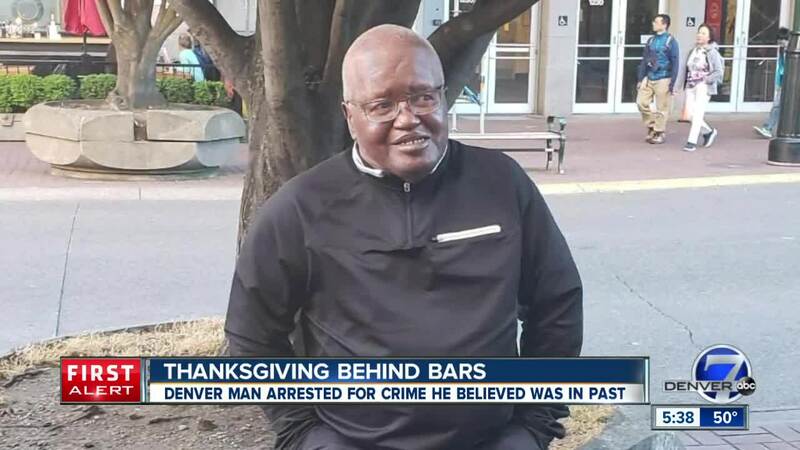 A 69-year-old retired bus driver sits in a Denver jail this Thanksgiving holiday awaiting extradition back to Indiana following his arrest Tuesday in connection with a 34-year-old case that Indiana officials told him he’d completed his sentence for more than three decades ago – a situation that a Denver attorney says reminds him of the Jim Crow era of America. DENVER – A 69-year-old retired bus driver sits in a Denver jail this Thanksgiving holiday awaiting extradition back to Indiana following his arrest Tuesday in connection with a 34-year-old case that Indiana officials told him he’d completed his sentence for more than three decades ago – a situation that a Denver attorney says reminds him of the Jim Crow era of America. “I got a panicked, freaked-out phone call, as one would expect, from the family on Tuesday saying that they’ve just taken our grandfather who hasn’t had a brush with the law in more than three decades,” said Denver civil rights attorney Jason Flores-Williams, who is representing Theodell McGowan in the case. According to Flores-Williams, Denver Sheriff Department deputies showed up at McGowan’s home Tuesday as three generations of family members prepared for Thanksgiving and arrested him in front of his family. Deputies told McGowan and his family that they had a warrant for his arrest out of Gary, Indiana from 34 years ago for allegedly violating the terms of his sentence at the time. According to Flores-Williams, McGowan received an 18-month sentence at a halfway house in connection with a car theft. According to a writ of habeas corpus filed by Flores-Williams, McGowan was told at the time that he’d completed his sentence and could move out of the halfway house, which he did. McGowan has spent the past 30-plus years in Colorado, where he worked as an RTD bus driver and bus driver for Denver Public Schools for 20 years before retiring. He regularly attends the New Beginnings Church in Aurora, Colorado. McGowan said Friday that he went through multiple background checks for his jobs as well as a Secret Service background check when he drove buses during the 2008 Democratic National Convention in Denver and the warrant never showed up. “I did the most extensive background check you can do … this ain’t ever come up,” McGowan said. Flores-Williams says that someone in Indiana doing paperwork issued the warrant despite what McGowan says he was told decades ago and living a life free of criminal charges since then. “Somehow, someway, somebody – without thinking – in Indiana saw this technicality and issued a warrant for his arrest, which Denver had no choice but to comply with,” Flores-Williams said. After McGowan was arrested Tuesday, according to Flores-Williams, Denver sheriff’s deputies forced McGowan to sign a waiver of extradition without allowing him to consult with attorneys or his family. Flores-Williams says that McGowan was not allowed to retrieve his dental plate before he was brought to jail and that he has had a hard time eating without it. Now, Flores-Williams says that prosecutors in both Denver and Indiana say they are unsure what to do with the case. He says the writ of habeas corpus filed Friday in U.S. District Court of Colorado was denied because Denver does not have a case. Flores-Williams says that he’s been trying to convince officials there is a “more humane way” to handle the situation “rather than wasting the resources, and all the time and energy” of putting McGowan behind bars. McGowan said he doesn’t think he’s being treated fairly but said he would do what officials are telling him to do if it’s necessary. “I’m 70 years old. I’m too old for this,” he said. McGowan, who is a father, grandfather and great grandfather, says he feels embarrassed by the situation. “Embarrassed, and tired and old. But I’m also embarrassed because I think I’m disappointing my family because they look up to me as a role model,” he said. His fiancée, Helen Allen, called him a “very loving person” who is loved by both her and his children. Flores-Williams compares what he says is happening to McGowan to the Jim Crow era. “It reminds me of something out of the Jim Crow era, where there’d be some ridiculous charge, some ridiculous technicality, and because somebody decides to call in from Indiana, an older African-American gentleman’s life is basically ruined because he’s thrown behind bars,” he said. McGowan and Flores-Williams are still waiting to see what happens next. But McGowan said he feels that he is being penalized after doing everything he could to change the man he used to be over the past three decades.